Macaque I Have This Dance? In a savage world ruled by the pursuit of the most delicious foods, it's either eat or be eaten! While searching for the tastiest foods imaginable, Gourmet Hunter Toriko travels the worldwith his bottomless stomach,facing every beast in his way. 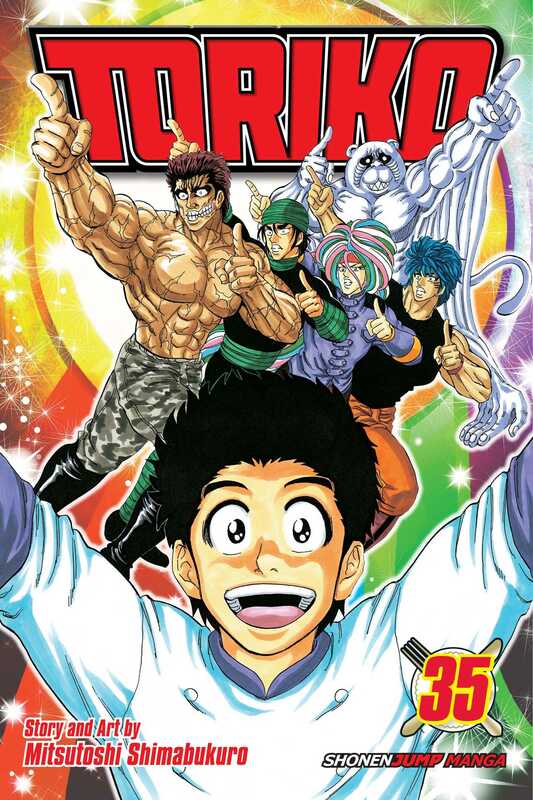 There is no monkey business this time as Toriko and the gang rematch against the Monkey King—they have mastered the infamous Monkey Dance and are ready to beat the playful ape at his own game! Their prize is literally dangling right in front of them as the dance-off begins! Can Toriko and the gang swing their hips to victory in time to save Komatsu?